Own more, be more with a Battlefield Hardline membership. Premium expands the Battlefield by delivering all four expansions, 12 additional Battlepacks, exclusive Items and more! 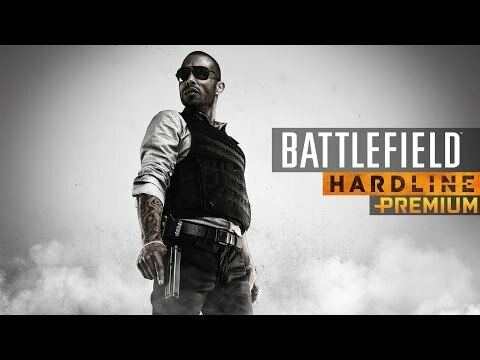 Please Note: Battlefield Hardline Premium is a season pass and requires Battlefield Hardline game. Own more, be more with a Battlefield Hardline membership. Premium expands the Battlefield by delivering all four expansions, 12 additional Battlepacks, Exclusive Items and more. That’s great value for the content alone, plus the additional benefits of being a member. As a member you get access to the expansion packs two weeks before the general public for that competitive edge. And just to make sure everybody else knows you’re a member, you can create a unique Battlefield experience with Premium-exclusive camos, patches and more to dominate in style. But that’s not all—there are also more perks yet to be announced, so stay tuned!